Now it's April, and bluebell season will soon be here. This is probably the most beautiful time of the year in London's parks and gardens, too, when the weather is warming up, and the trees are greening and the flowers are blooming. 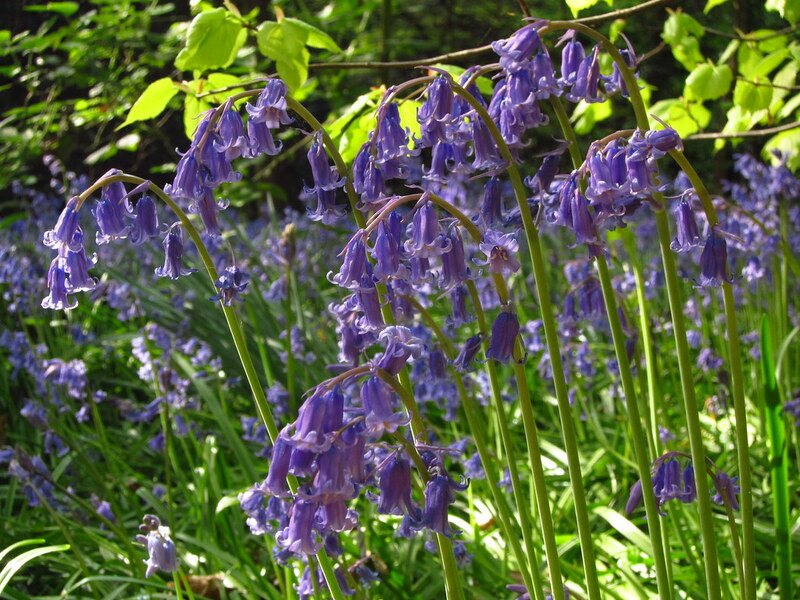 You won't need to leave London to see bluebells, they grow in many parks and gardens around the capital. Watch out for them in shady places under trees in Hyde Park and Kensington Gardens, or Hampstead Heath, or Highgate Wood. 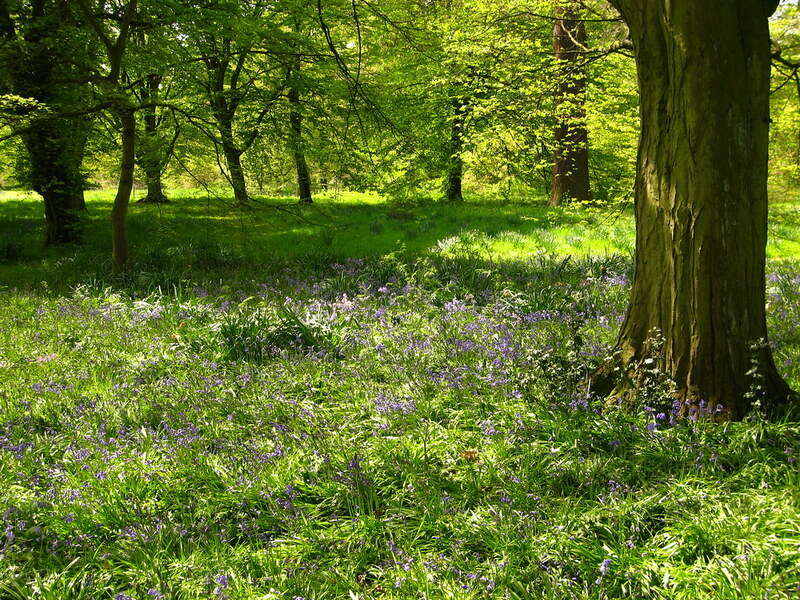 For a magnificent display of bluebells, visit Kew Gardens, where they carpet the woodland floor in the Conservation Area. You will find them in other parts of the gardens, too; the ones pictured above were growing amongst the trees near the Azalea Garden last year. 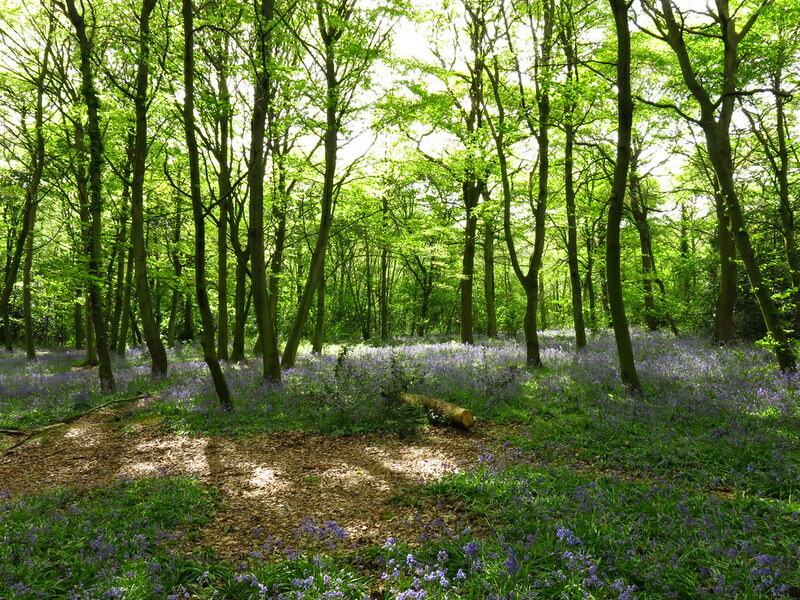 Ancient bluebell woodlands can be found in Oxleas Woods, south-east London. Oxleas Woods is one of the parks along the Green Chain Walk, which also makes for a great day out on a sunny spring day. Osterley Park is another place to see the blue flowers--there'll be a guided bluebell walk on Sunday, 1 May 2011; see here for more details--and there's a little bluebell wood in Holland Park, too. 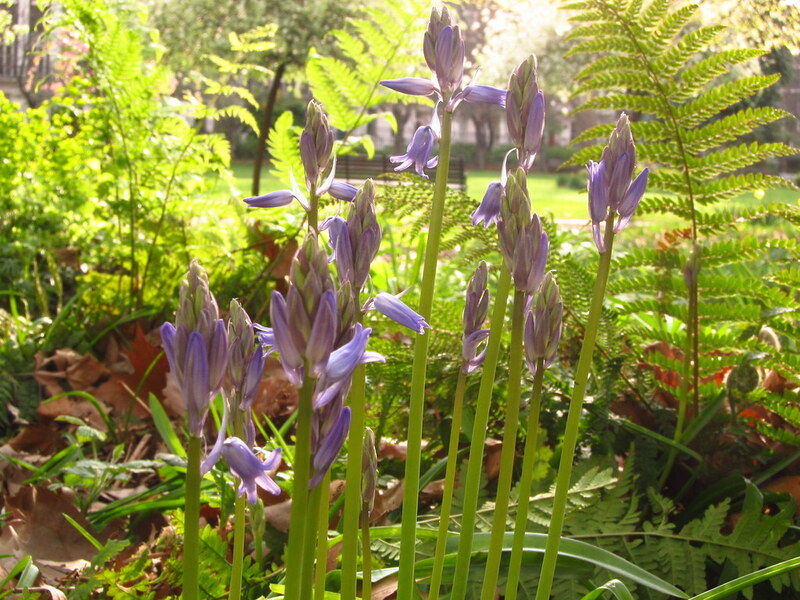 In the middle of London, Gordon Square features a lovely little display of bluebells. There's an information board in the garden which tells you more about the flowers growing there. On my own list of new places to visit this year is the Bluebell Walk in the Isabella Plantation in Richmond Park (I've been to the park, but not yet to the plantation). 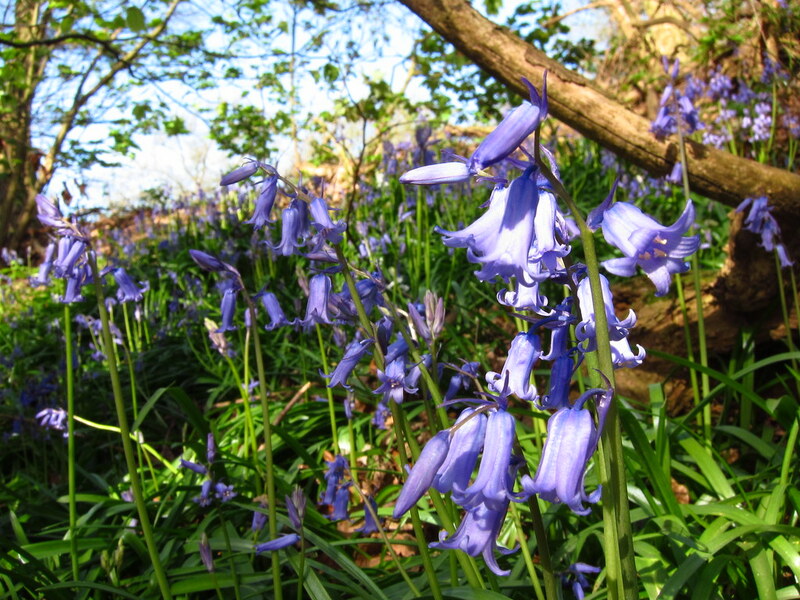 Bluebell season normally lasts from about mid-April until mid-May. I already spotted my first bluebells yesterday; it won't be long now! When I wrote this post, I didn't know yet about Wanstead Park. There is a bluebell wood there, and it is the best in London!